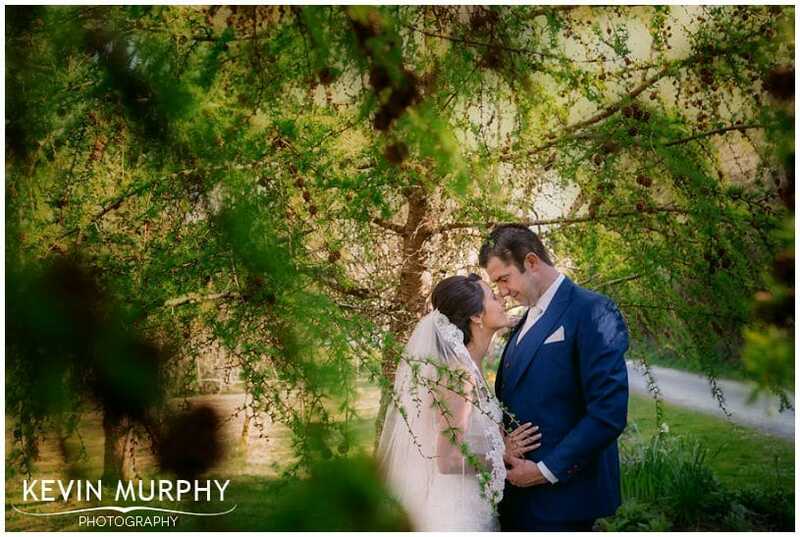 Katie and Denis were married in Mountcollins Church and held their reception in the Devon Inn Hotel. It was a great day and one of the funniest moments involved their beloved dog – a boxer called Katie Taylor. We had an idea for a photograph with Katie and Denis’ hands and also Taylor’s paw. In true never-work-with-animals style, Taylor was having none of it. Katie and Denis were coaxing/promising/ordering/threatening Taylor to lift a paw. Finally, Taylor put a paw on their hands and Denis ordered “other paw Taylor”! I can’t remember the last time I laughed so hard!! For the first time ever, there was more commotion in the grooms house in the morning than the brides house! Their “Let The Party Begin” sign as they walked down the aisle after the ceremony. The best man Kevin’s quick thinking during his speech to keep it age appropriate. We had the best day. Thanks for photographing it, you were absolutely fantastic – so much fun and easy going. Our families and friends are still commenting on the slide show, it really blew us all away! I don’t know how you managed to put it together so fast, we just loved it and cannot wait to see the rest of the photos!